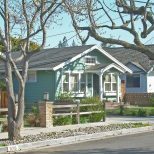 Have a lot of issues? 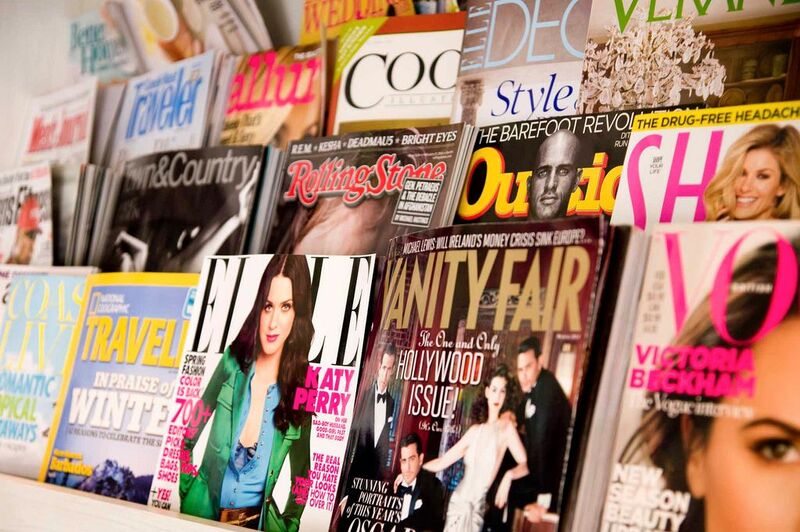 Don’t worry, we’re not trying to sort out your personal life — we’re talking about magazines. Most of us have plenty of them lying around the house, scattered about our coffee tables or stacked next to the toilet. But there’s a fine line between a collection and clutter. Keep yours organized with one of these eight stylish magazine holders. Lucite, a fancy word for acrylic glass, can help to make a small space feel larger. 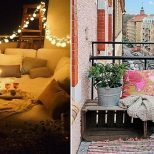 If purchasing a set of ghost armchairs is beyond your budget, consider purchasing a few transparent accessories. 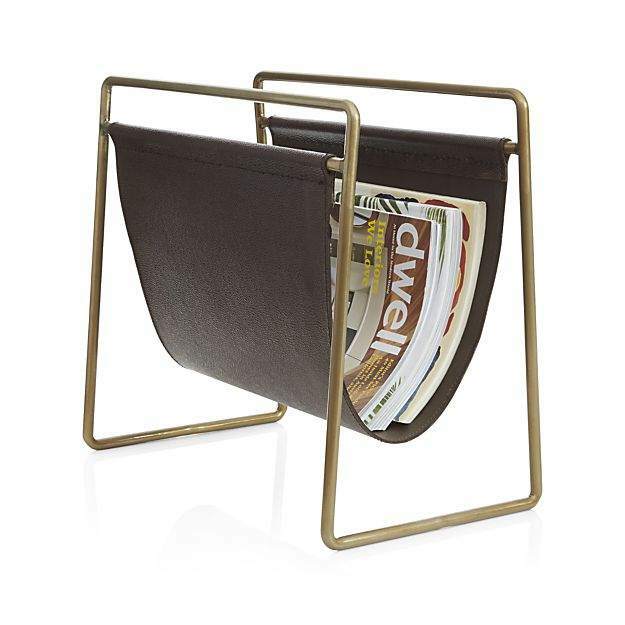 This wave-like holder by Modway will prominently displays your favorite periodicals. The MoMA Store (yep, like the art museum) offers one-of-a-kind products that are high on design and functionality. 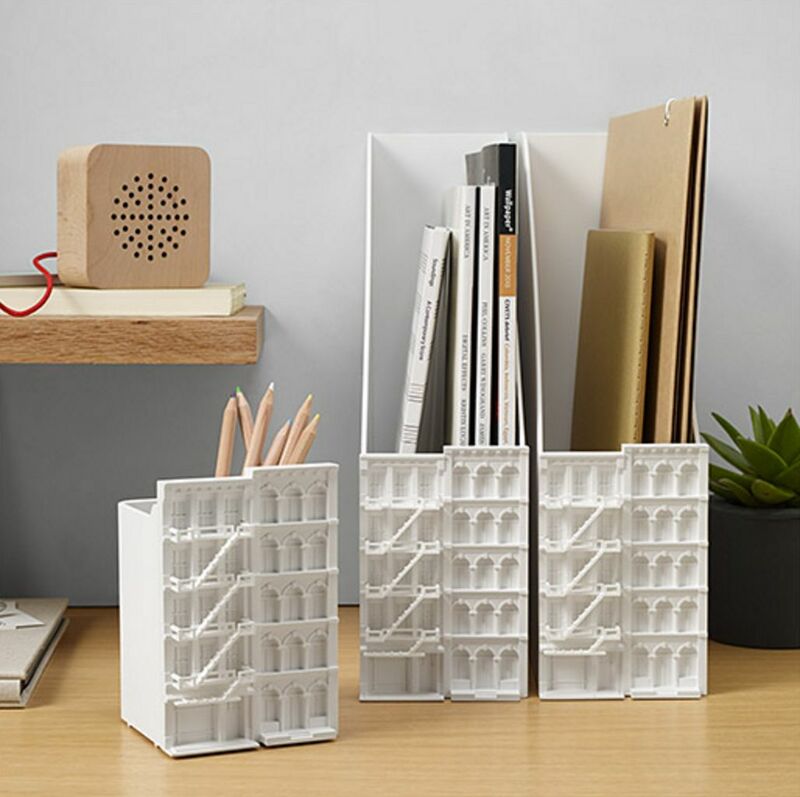 This architectural twist on the classic file sorter was inspired by the cast-iron buildings of New York’s SoHo neighborhood. Its 3D façade will add intrigue to your desk or bookshelf. 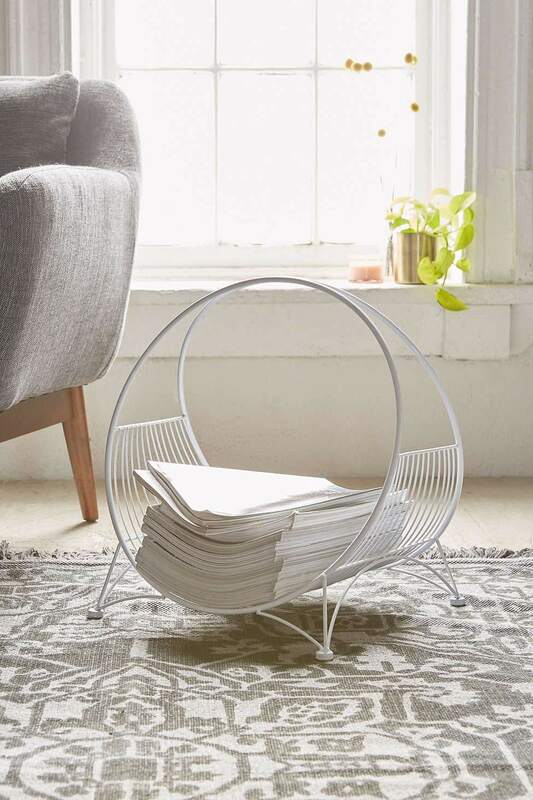 This mid-century modern magazine rack is easy to transport, so you can take your numerous copies of Better Homes and Gardens to the kitchen or the couch. Its white metal frame looks sleek and blends with a variety of decor styles. 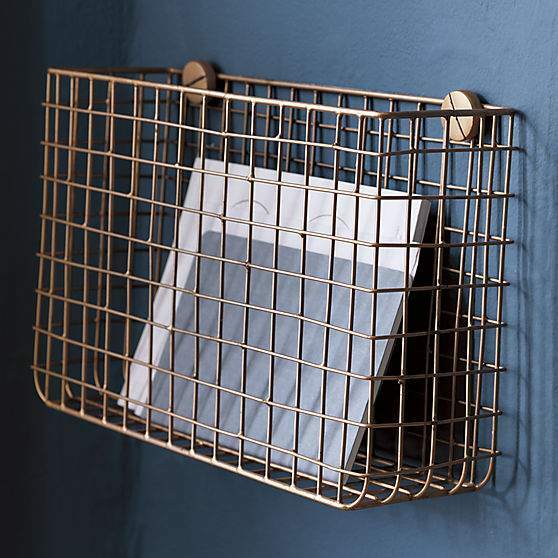 Free up your floor space by utilizing wall-mounted storage, like this copper wire rack from CB2. It has a grid pattern and exaggerated hardware, which gives it an industrial feel. 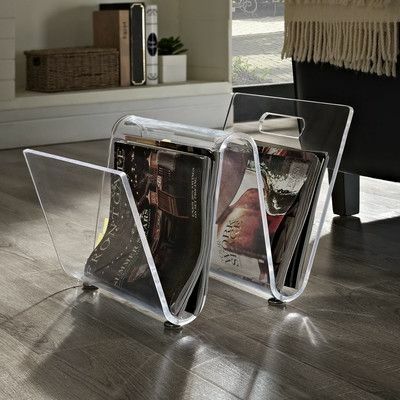 Use it to organize magazines, mail or even vinyl. 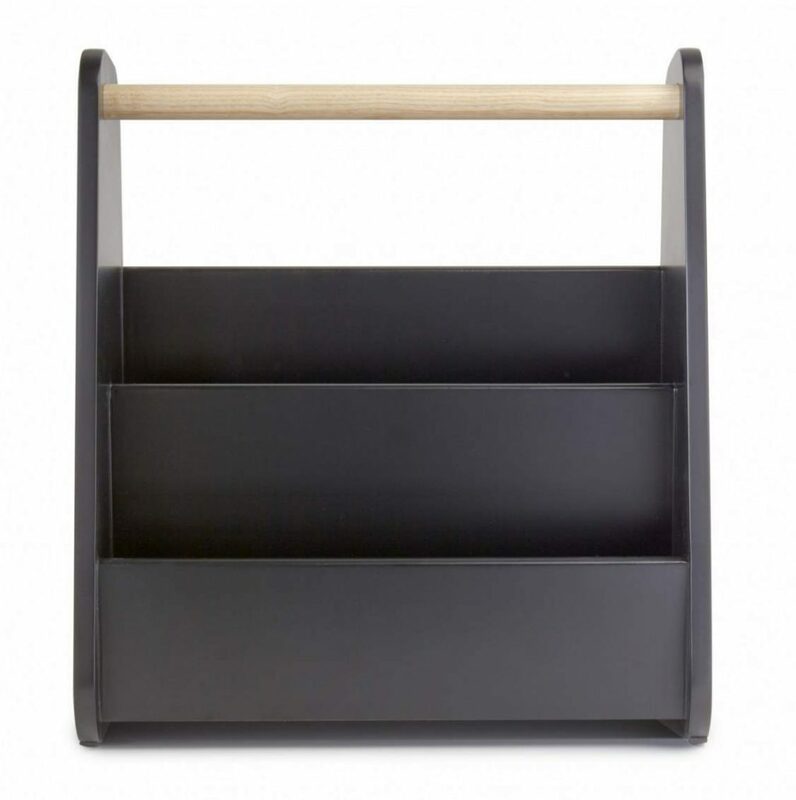 Create dimension by layering your books and magazines using this two-tiered rack from Umbra. The simple design, conceived by Jiri Pelcl, is made of wood and features a convenient carrying handle. 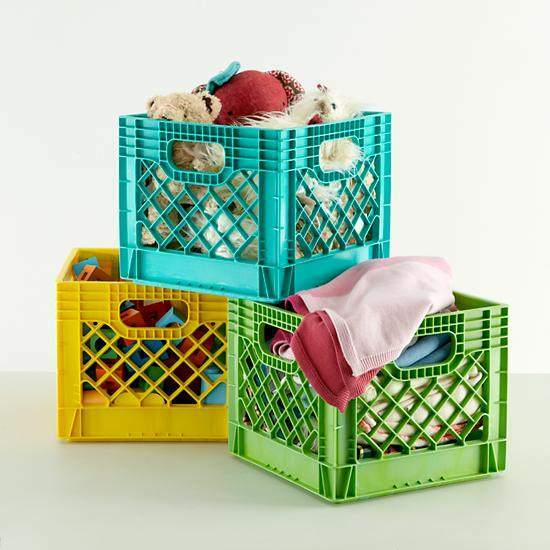 Relive the 90s with these colorful milk crates. They’re both sturdy and stackable — ideal for those who are holding onto hundreds of copies of National Geographic. Available in aqua, yellow and green, these dairy crates are more aesthetically pleasing than those you probably stole from the grocery store as a teenager to hold your records. While it’s really more of a box than a magazine rack, this product from Anthropologie exudes cool. 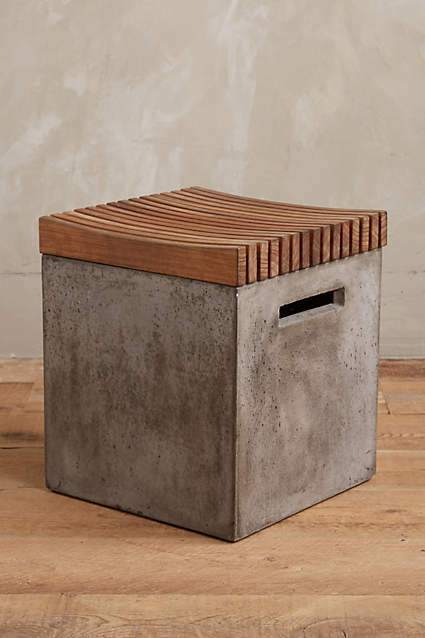 The mix of lightweight cement and Acacia wood is ultra-modern. Plus, it’s lined with natural jute fibers to keep your magazines dust-free. Warm brown leather and a brass-finished frame creates a feel of understated elegance. The suspended sling is very on-trend, and will lend character to your living room decor. 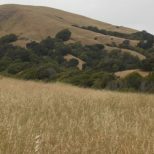 While the price is a bit steep, the item is well-made and sure to last through several subscriptions.